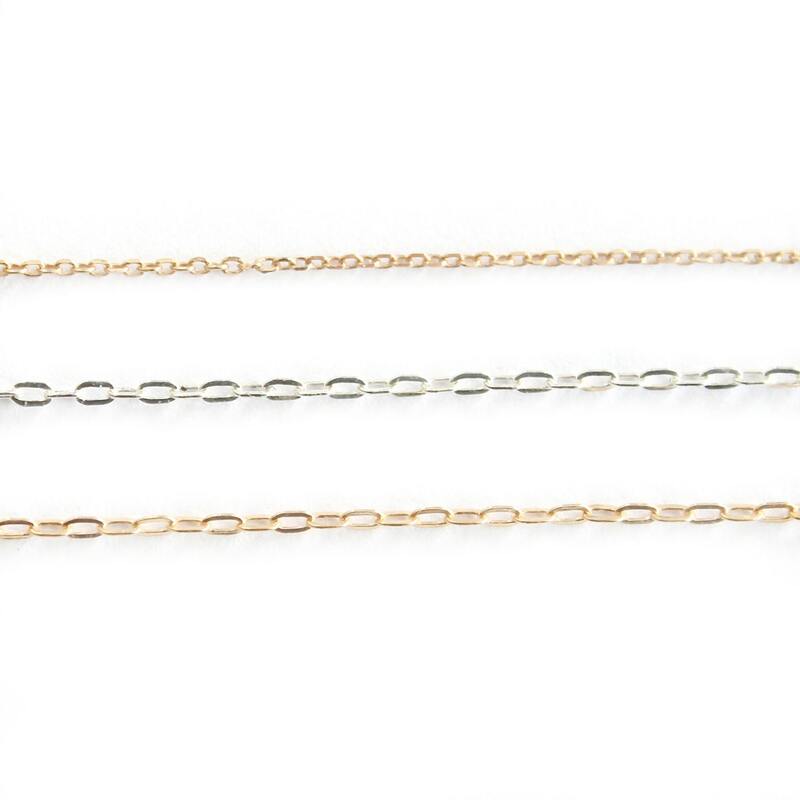 Solid 14K yellow gold diamond cut 0.7mm cable chain with spring ring clasp closure. Pictured at the top. Listing is for chain only- 7mm charm is to show perspective.